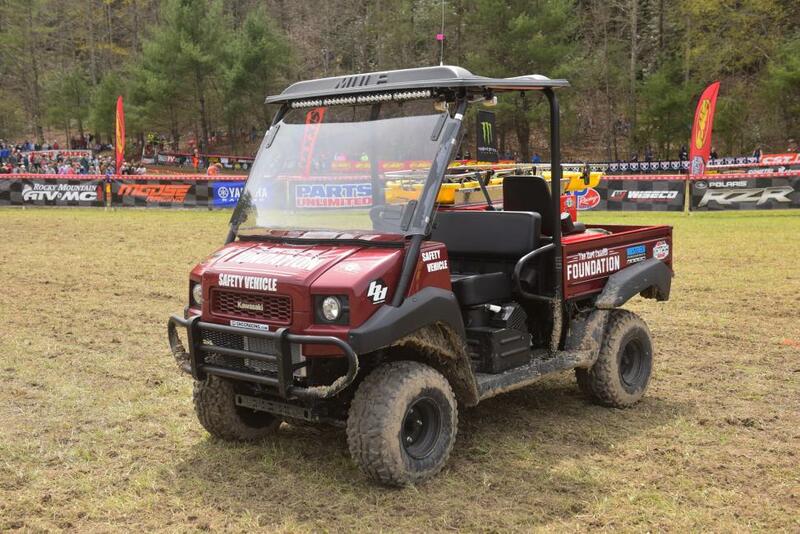 MORGANTOWN, W.Va. (April 13, 2018) – Racer Productions, producer of the AMSOIL Grand National Cross Country Series (GNCC), an AMA National Championship, is proud to announce The Kurt Caselli Foundation GNCC Safety Vehicle, which made its debut at the FMF Steele Creek GNCC. 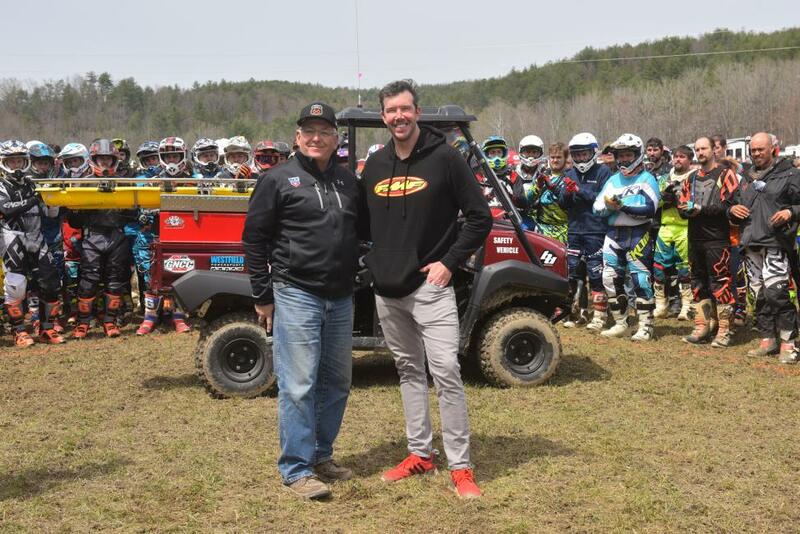 The Kurt Caselli Foundation partnered with GNCC Racing to build a safety vehicle that will travel to every round of GNCC Racing for local medical teams to use around the facility and racecourse. Kurt Caselli is among the most decorated off-road motorcyclist in history; his career highlights include three AMA National Hare and Hound National Championships, three championships in the World Off Road Championship Series (WORCS), AMA Sportsman of the year in 2007, and multiple International Six Days Enduro medals. After Kurt’s death in 2013, The Kurt Caselli Foundation was established in his memory with the mission of Protecting and Supporting the Lives of Off-road Riders. This is the foundation's first donation and partnership with a racing series on the east coast. Also helping in the partnership for the GNCC Safety Vehicle are FMF Racing, Westfield Powersports, Kawasaki, PCI Race Radios and Baja Designs. With the help from these partners, the GNCC Safety Vehicle is fully equipped with a medical backboard and other medical necessities to help racers in the event of an injury. The safety vehicle and all of the accessories have a value of over $18,000. The Kurt Caselli Foundation President, Donny Emler Jr. joined GNCC Racing on the start of the pro bike race at the FMF Steele Creek to present the new Kurt Caselli Foundation GNCC Safety Vehicle. Click HERE to watch the video. The 2018 AMSOIL Grand National Cross Country Series continues April 21 and 22 in Society Hill, South Carolina with the CST Tires Camp Coker Bullet GNCC. The series continues along the east coast before concluding in Crawfordsville, Indiana with the AMSOIL Ironman GNCC on October 27 and 28.